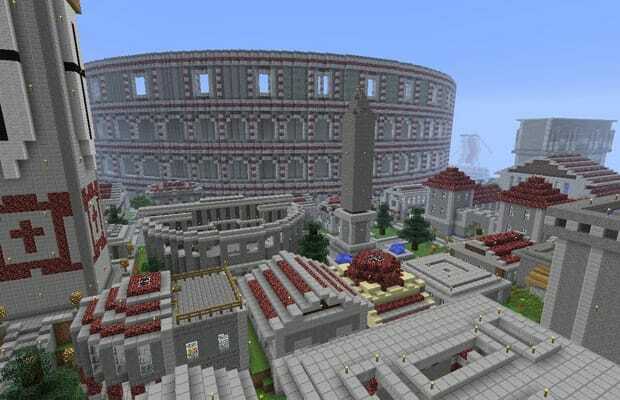 A group of insane(ly talented) Minecrafters has accomplished another incredible feat in the hit indie game, recreating basically the entirety of Ancient Rome. "I know you're joking, but we built this in about 3 months, with two people doing the bulk of the work and about 10 more contributing some effort. This is a legit survival build, so it took quite a bit of time just to clear the land, mine and cook the stone, etc etc." We pat ourselves on the back every time we go 20 minutes without digging straight through to a pile of magma in Minecraft. This is equivalent to building a fighter jet by hand as far as we're concerned. Don't start feeling too bad about yourself, though, because we've unearthed another Minecraft creation that will make you feel even worse when we post it shortly. Hang on to your self-esteem and let us know what you think about Romecraft in the comments or on Twitter.